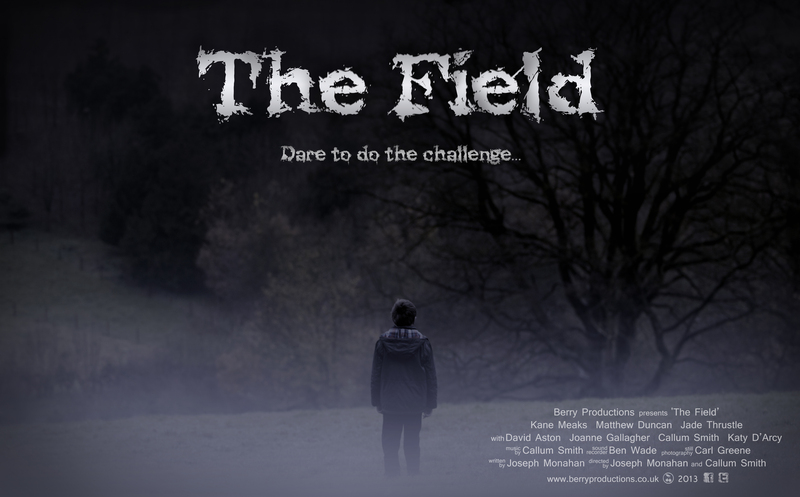 We’re coming to the final stretch on our newest film ‘The Field’. During production we had lots of people working with us, but now, in that important post-production stage, there are just two of us doing all of the work. We’re both fanatical perfectionists when it comes to our films, so we throw everything into it. Production on The Field began in December 2012. Now August 2013, this year has just disappeared on us! Finally however, we are at that point where we can see the end of the tunnel! We are putting the final touches to the film – editing the last of the sound effects and music, then moving onto the colour grading and a few visual effects. It’s been a long slog. There have been just two of us working on the post-production when we could have done with about ten! Luckily, myself (Joe Monahan) and Callum Smith work really well together and are usually in tune when it comes to ideas. Another week or so and the film will be ready. We’ve managed to capture a great mix of horror, mystery, adventure and comedy in the film, which hopefully will give it quite a unique feel! We’ve got some cool posters, a trailer in the making and some interviews coming soon so watch this space! Posted on August 19, 2013, in Our Film News and tagged ben wade, callum smith, Color grading, filmmaking, horror film, independent film, indie film, joseph monahan, movie, Post-production, Short film, The Field, Visual effects. Bookmark the permalink. Leave a comment.